The changing room for jockeys was warm and gay like a busy nursery. Jockeys’ valets, with the air of slightly-derelict family butlers, had been ironing in their shirt-sleeves since seven in the morning. Two large coal fires behind nursery wire-guards were burning briskly, and over the guards hung strips of colour. Gipsy silks were all across the long tables stretched down the middle, and the valets ironed and pressed and swore and grunted and cleaned soft boots and hunted for odds and ends in their enormous suitcases, the travelling houses of their livelihood. Down one side of the room hung little saddles, touching little saddles. Below them saddle-cloths, numnahs, girths. Below them on the boot boxes countless little boots. Black boots with brown tops so soft you could hardly walk in them. Boots like gloves that are drawn on to a child’s ankle, and filled out with a child’s toes. Boots as touching as the saddles. observations: The Grand National horserace will be run this afternoon at Aintree racecourse in Liverpool, as it has done for more than 150 years. It’s famously a race that even those uninterested in racing know about and may bet on: it’s also a bit of a lottery, rarely won by the favourite. So it was the ideal race for Velvet Brown – a 14-year-old butcher’s daughter from the south of England – to aim to win on her strange horse The Piebald, which she won in a raffle. what fascinates Bagnold is family life, and indeed, the driving force behind National Velvet is the intricate psychological chaos that is the Brown household… Bagnold is not interested in practicalities, or, indeed, in plausibility. She is interested in idiosyncrasy. -- Smiley’s point is that this is not really a book about winning the Grand National. But she’ll never convince anyone else of that. I found the book completely unreadable when I was young – I was a voracious, precocious, full-time reader, but I could not cope with this book because it didn’t make any sense to me. As an adult I can read it, but I find it bizarre and I still don’t much like it – I understand my early feelings, and I wonder what teenagers (or anyone) generally actually make of it. A numnah is a saddle pad. Links on the blog: This beautifully-dressed lady is going to the races in Brighton. 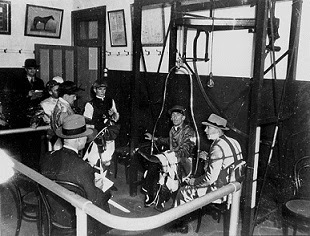 The picture of the jockey room is from Wikimedia Commons. 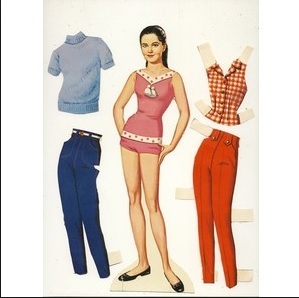 It’s not clear whether the National Velvet paper dolls are from the film or a later TV series – the girl looks nothing like Elizabeth Taylor, but that proves nothing. Moira - It's interesting that you would focus on this one. I like it, I think, a bit better than you do, but I didn't like the original Enid Bagnold story as a kid. I think I had to more or less grow into it. I agree with you t hat it focuses much more on psychology than it does on the coming-of-age aspects and of course, on the race itself. I love the wide-ranging choices you make for this blog! 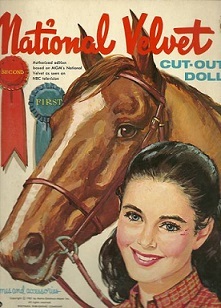 I have never read National Velvet but I have seen the movie, which is surprising because I remember seeing it on TV and don't know why we would have watched it. Elizabeth Taylor is awesome but really haven't watched a lot of her movies and certainly not from when she was young. Oh well, maybe my memory is tricking me. 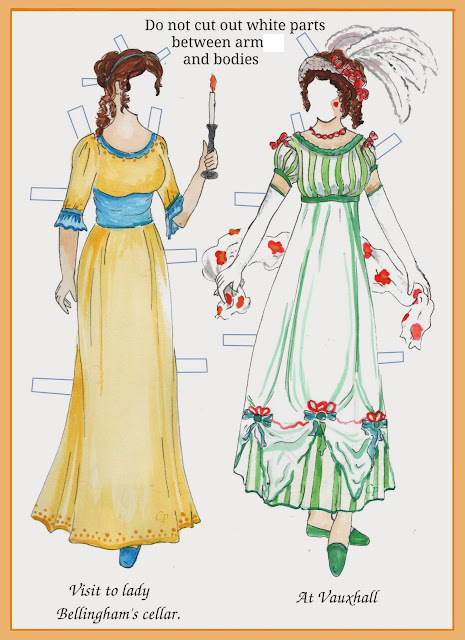 Anyway, the paper dolls are very nice. I had a doll that looked like Queen Elizabeth and Elizabeth Taylor (at the time, roughly) and I called her Elizabeth. I still have her, actually. Not in great condition, but sentimental about her. Elizabeth *Taylor* I mean of course.